Thibaut Thomas is our We Are Museums 2016 moderator! 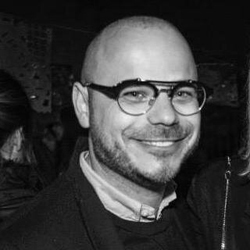 He is a communication specialist based in Paris focusing on corporate communication, art marketing and public speaking. He has advised for their digital strategy cultural institutions such as la Gaîté Lyrique, Fondation d’entreprise Galeries Lafayette, D’Days festival of design and Chalet Society and is frequently moderating panels on the subject. He has recently organized an art exhibition for the investment fund Partech Ventures to stir conversation between artists and startups.